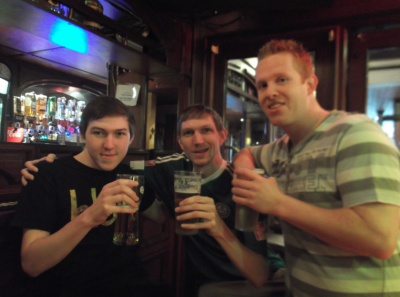 Thirsty Thursdays: My local pub – The Windsor Bar, Bangor, Northern Ireland! In life, at least where I come from we all have a “local”. “Down the loke”, “down the wins”, “see you in the local” are all phrases we use to describe that one pub or bar where we feel at home. We know the staff, we know the customers, it’s our local. Most of my mates have a “local”. Yes even me, despite being a global backpacker, I have an original local pub. It’s been my local for 17 years now – that’s half my life. Crazy. Even though for 11 of those years I haven’t lived in Bangor, The Windsor, is still and always will be “my local”. I call it the “wins” for short. Thirsty Thursdays this week takes you down the wins…the Windsor Bar in Bangor, Northern Ireland. 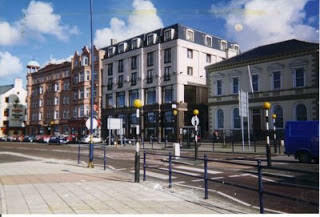 Quay Street, Bangor, Northern Ireland – home of the Windsor. It’s on Quay Street in Bangor. It’s on the seafront. Pretty, picturesque and a genuine old school British seaside town is Bangor. No explanations for that description needed. Bangor is a staunchly middle class unionist town and is part of the United Kingdom. But don’t you worry – it’s Irish too, serving up Irish whiskey and beers in endless bars. Guinness, Harp and that awesome pub spirit ensure this gem of a pub gives you that authentic Northern Irish pub feel that anywhere should. 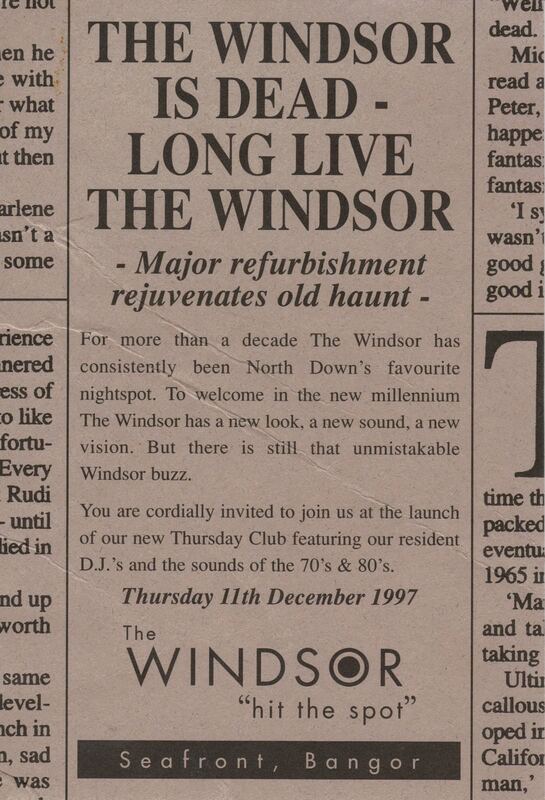 The very first time I went into the Windsor Bar was September 1997. It was a crazy time for me in life. I had just come back from a family trip to Orlando in Florida. 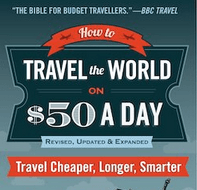 My travel brain had been inspired. I was learning to drive for the first time. 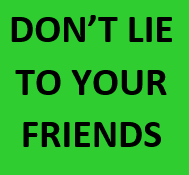 I was able to go out and party with my mates (thanks to what was known as “Fake IDs”) at weekends and during the week I earned a bit of money by doing a Media Course. 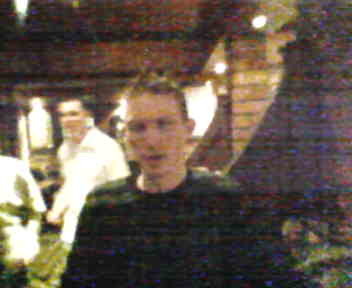 The oldest surviving photo of me down the Wins – no idea of the date but between 1997 – 2004. As crazy as that sounds now, but yes I got paid for being a student. 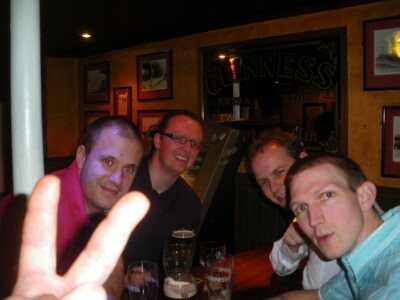 It wasn’t much, but I was 17 and I lived with my family so the money from that was easily enough for me to go out and have a few beers on the weekend. As part of Tony Blair’s “New Deal” system, certain students on courses could earn a bit of cash. I studied Media Studies and Journalism at Belvoir Tech in Belfast, our capital city. I loved being a student at the time. I also had some part time stuff going on – my mate Michael and I sold football fanzines, I played football for the BB and I did college radio as much as I could. 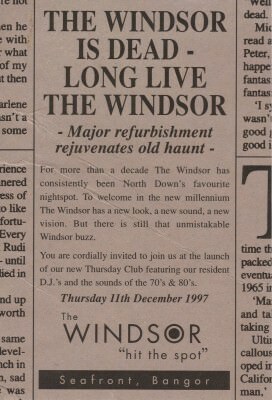 An advert for the Windsor Bars when I used to go back in 1997. It was a Saturday in late September 1997 that I first stepped foot in the Windsor. I loved the decor, I loved the atmosphere. I just loved it. It was like I was home immediately. Upstairs in the Windsor at the Richard Morrow Hypnotist show. I’d head down with a few mates around 8pm on a Saturday night, by 10.30 pm we were always ready to head upstairs. In those days the Windsor was a really buzzing nightclub. 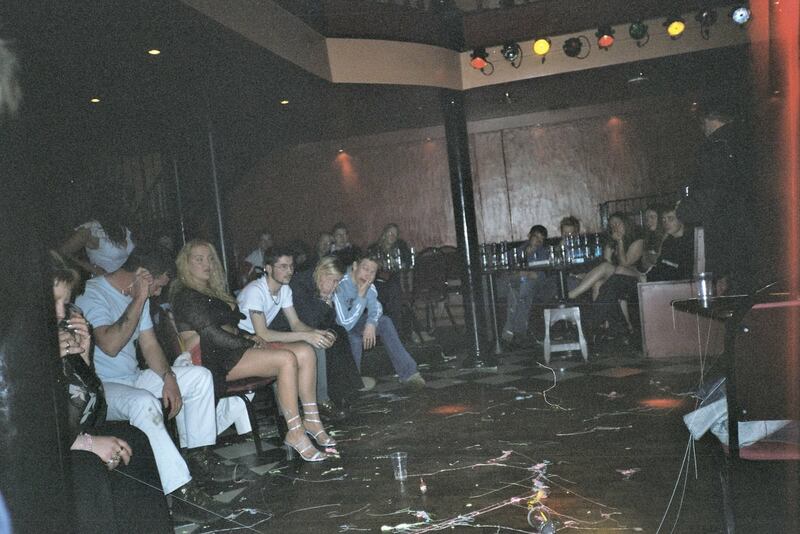 The Windsor on Quay Street, a photo I took back in the day. With Mark, Michael and Stuart down the Windsor at a 20 year school reunion in the Windsor, Bangor. Over the next 3-4 years I was in the Windsor at least once a week, except when I was out of the country. I got to know the staff. There was even one ridiculous moment where I got a bit drunk and complained that they didn’t have Orange Hooch in stock and that Liam Gallagher drinks Orange Hooch. Next week I come in and they’ve ordered a crate of Orange Hooch, just for me. Totally crazy. Sadly not many other customers (zero I think) were into Orange Hooch but I drank the stuff myself. 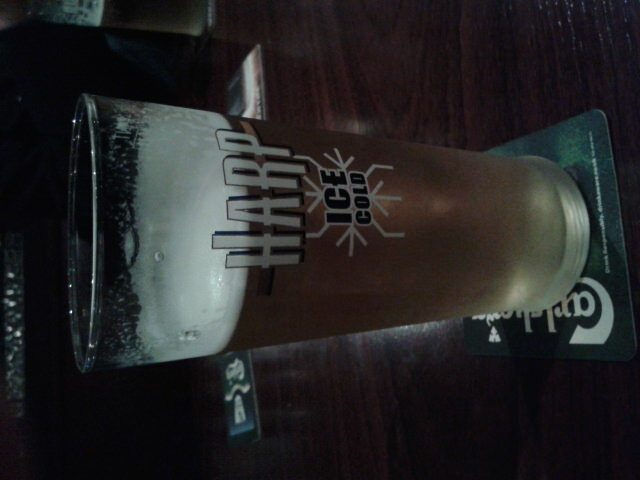 Yes, I admit, I did love Orange Hooch after a few pints of Harp or Guinness. 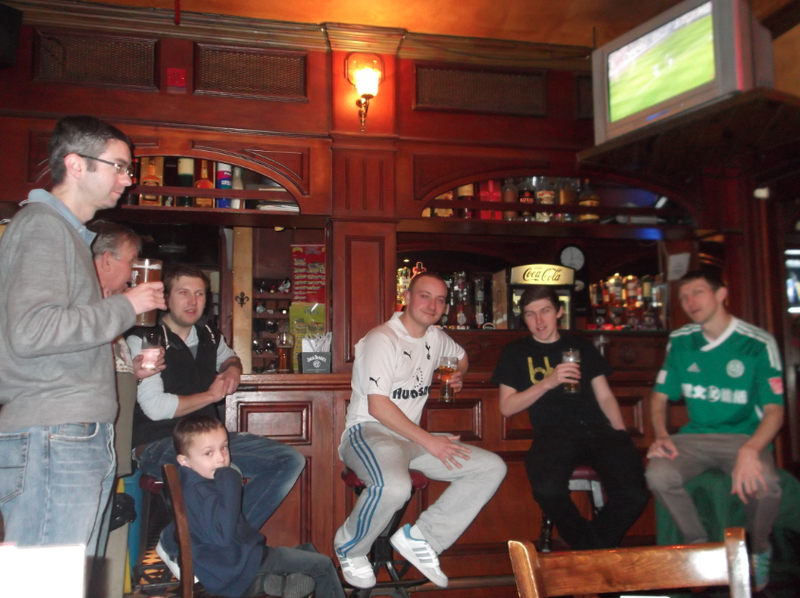 Thirsty Thursdays down my local – The Windsor in Bangor, Northern Ireland. By 2003 however I didn’t live in Bangor anymore and the Windsor kind of wasn’t my actual local anymore. I’d still pop in once every 2 years or so on visits back home. 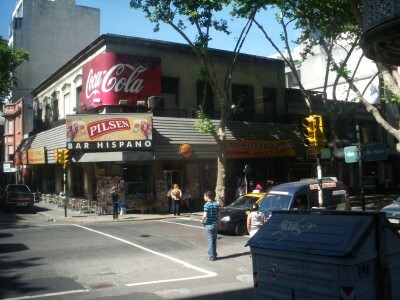 I ended up living in England and having some local pubs there, as I did in Australia, as I even did during my brief stay in Uruguay. These days, Table 18 in Kwun Tong, Hong Kong is the nearest thing I get to a “local”. But it’s not the same and it never will be. 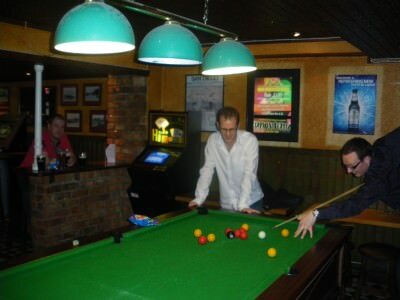 I also went to the Windsor with some old school pals in 2011 – playing pool with Stuart and Michael. 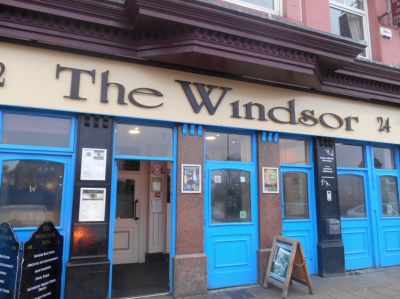 The Windsor Bar Bangor, Northern Ireland is my local. I make it my duty to pop in for a beer now EVERY time I’m back. I’ve even surprised myself with this one and have visited it now on each of my last three visits back home to Bangor. OK so that means I’ve only been in 3 times in the last 5 years, but still, I enjoyed it. Behind the bar in the Windsor with Paul Donegan. 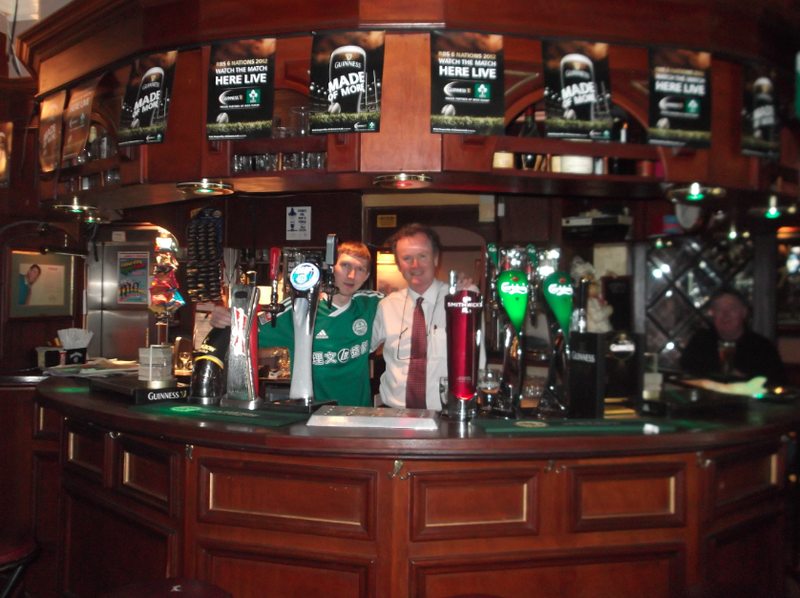 Host and owner Paul Donegan is a man who knows how to run a pub. He knows how to treat customers and you can guarantee if he’s working or running the bar anytime I’m back, he’ll be straight over with my pint of Harp. Drinking with my 2 brothers down the Windsor on my youngest brother’s 18th Birthday! Last month I went down the Wins with my Dad and brother Marko for a night. It was great. The place hadn’t changed. Same chirpy staff. Same beers on draught (Harp, Guinness – take the hint Paul and keep those two 😉 ). And the pool table is back. At the back of the bar I even played pool with my Dad and bro. 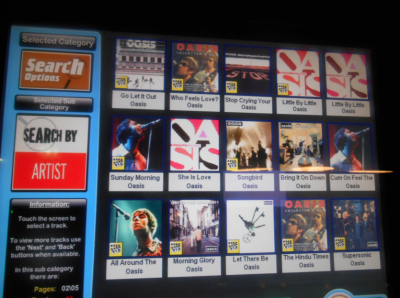 I hogged the Dukebox like old times and whacked on Oasis – Stand By Me. Yes, they still have that song. Amazing! 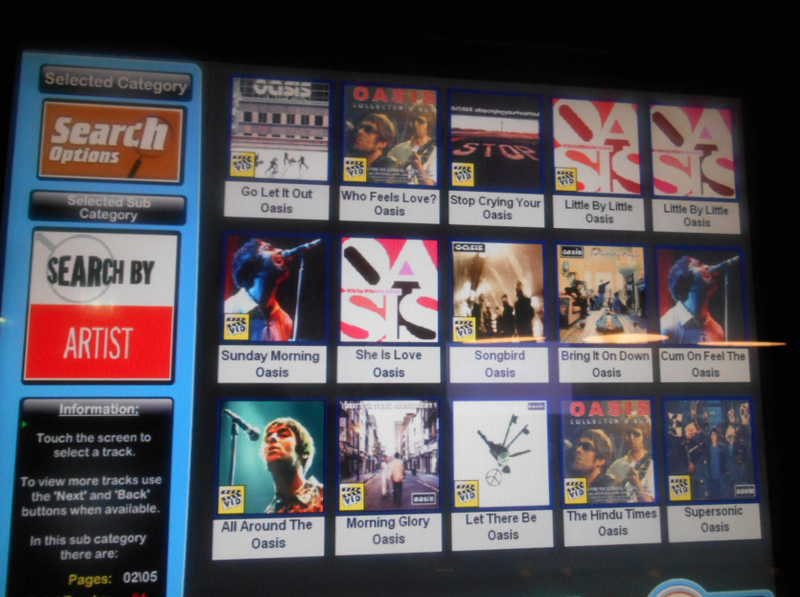 Banging Oasis on the Windsor dukebox. If you’re ever in Bangor, Northern Ireland, PLEASE PLEASE pop into the Windsor for a pint of beer. Time stops, life changes and you can really have fun. When is the Windsor open? It opens almost every day. 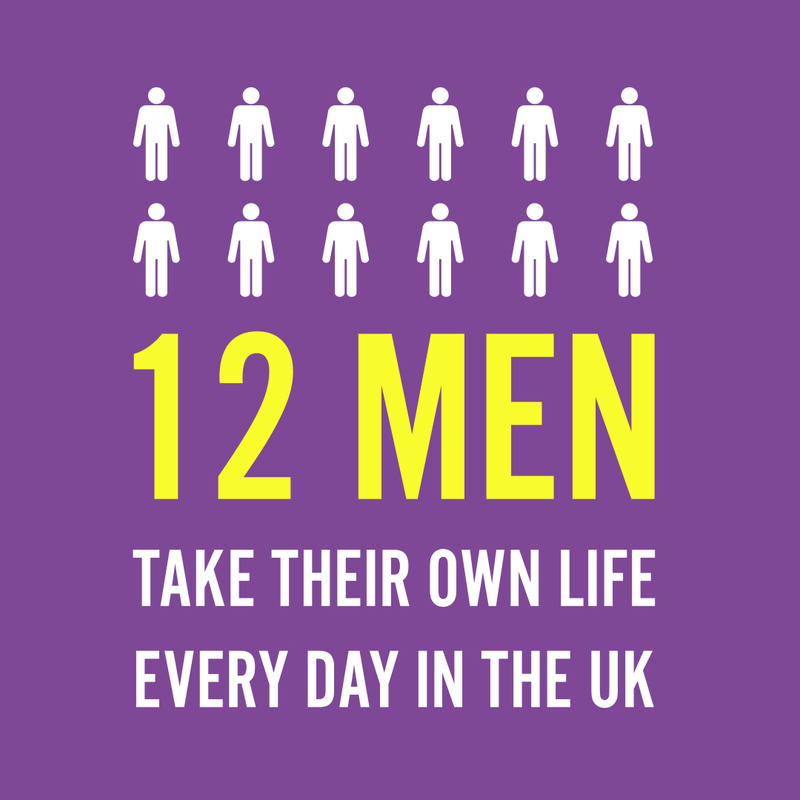 There will be a few exceptions – possibly Christmas Day, 12th July, New Year’s Day and Easter Sunday. Check closer to the time when you’re in the town itself. Things can change. 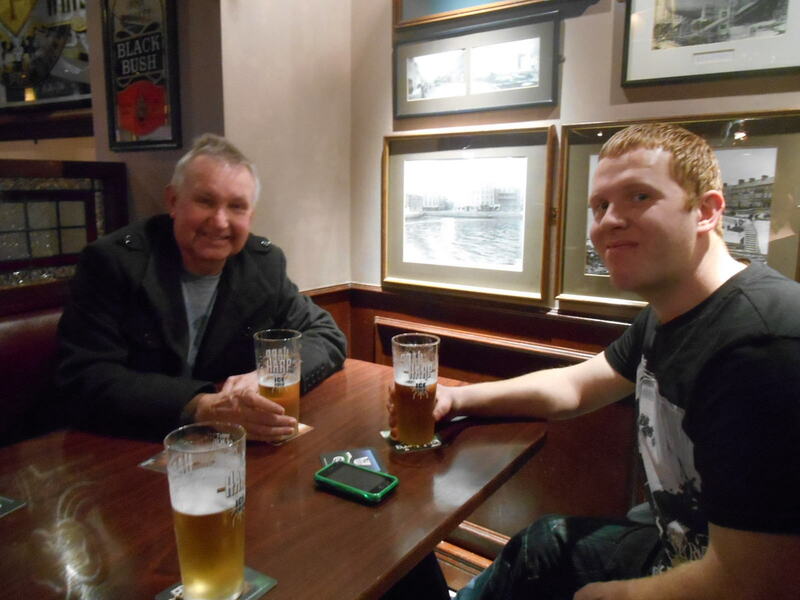 My Dad and Brother down the Windsor in Bangor in January 2014 on a rare trip back to my local. A few videos I made from my recent trips back to the Windsor Bar Bangor. Back in the late 1990s and early 2000s I never really made videos, shame. The place hasn’t changed much though. Which is a good thing. Happy drinking my friends! 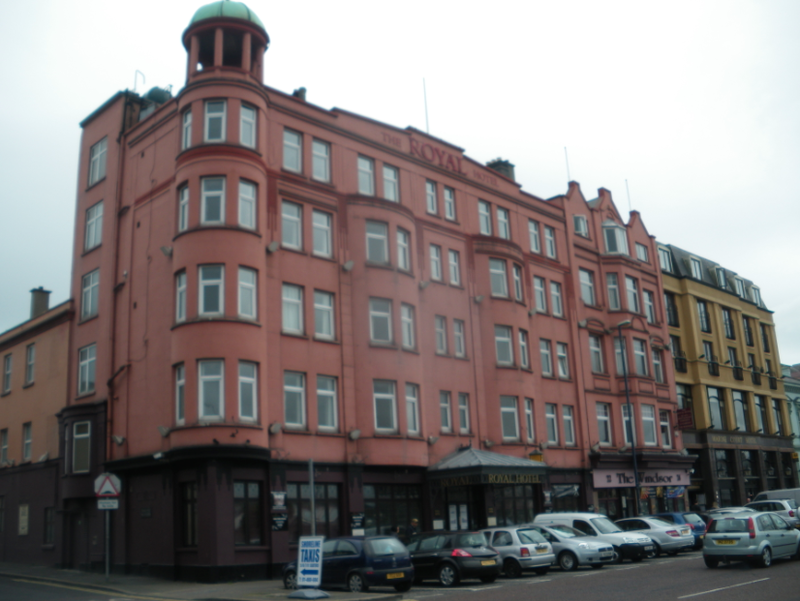 This entry was posted in Bangor, Bars, Daily Features, Destinations, Europe, Hotels, Irish Pubs, Northern Ireland, The Windsor, Thirsty Thursdays, United Kingdom. Bookmark the permalink. I visit Windsor quite frequently and they have really exciting nightlife. Looking forward at visiting some more pubs this weekend. Thanks for these wonderful options.